Be always happy as it is very important for your health. Smiling and having fun positively affect your brain and its functionality. That’s why you should keep and arrange the ways to have fun and enjoy in all situations of life. It will help you to spend long happy life, and you will be easily in touch with the wondrous world of fun. For this purpose, funny apps are rated as the best which can turn your sad mode into laughing mode. You just need to read about the funny apps for iPhone and iPad which are written with their complete details. Have a look at all following important information. 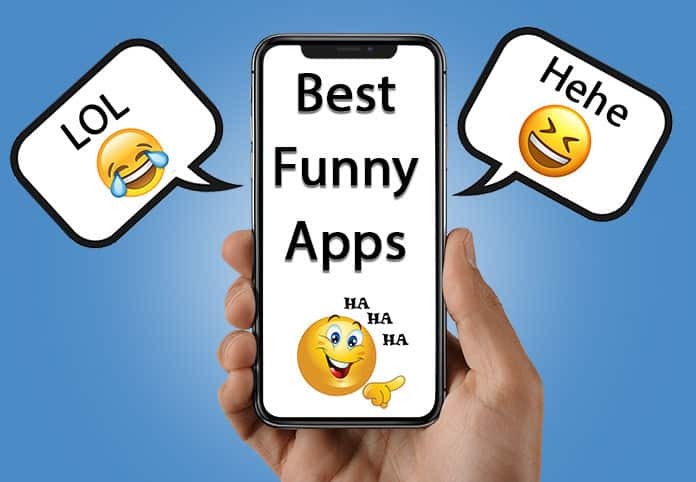 If you are looking for some fun or if you are in a sad mood, check these 5 funny apps for your iPhone, iPad or Android device and I bet you’ll burst into laughing immediately. Buzzfeed is one of the amazing and trendy apps which is enough to make you laugh continuously. It is created by the most fabulous site named BuzzFeed. Now you can enjoy this site content on your iPhone. You can access a lot of YouTube videos, political jokes, fresh pics of movies, music stars and other trendy stuff which is a great deal to be viewed by you. You can customize the settings and your preferences to get the funniest content according to your interest. You are also able to share your loved stuff with anyone to share your happiness with others. 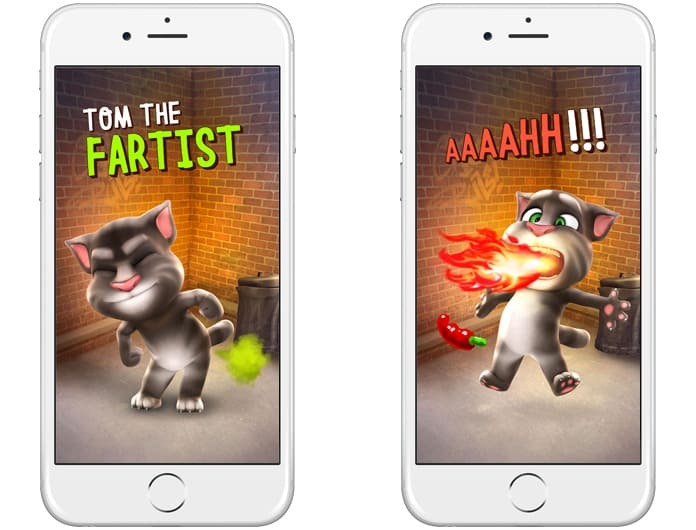 Talking Tom is another fantastic app which you can install on your iPhone and iPad. It is a pet cat and you can control your digital cat using easy controls. There are various functions which your installed cat can perform on your request. You can have great fun with your cat and take great care of the cat to make friends with him. There are different adventures available in this app and you can have fun with all of them. iFunFace is a great fun app which you can install on your iPhone and have great fun with it. It is great editing app which allows you to edit your photo on different funny characters and have great fun anytime and anywhere. There is no need to follow the complex procedures and you just have to upload your pic and can select the characters from the library. So, you can make funniest short videos and enjoy the videos as more as you want. 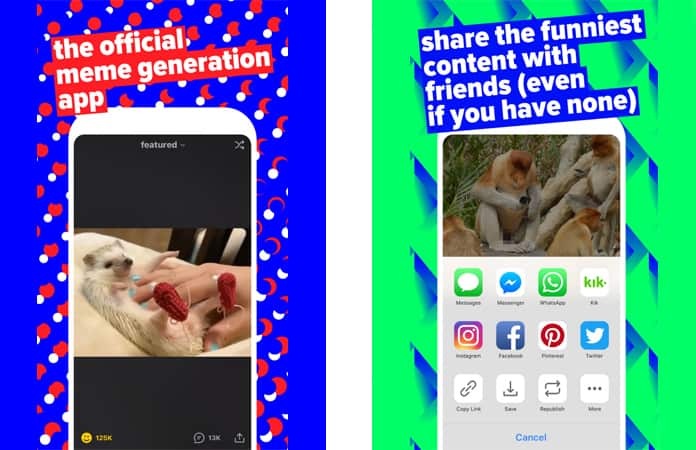 After creating the videos, you can also share them on social media sites. iFunny is one of the great apps which allows you to enjoy and have fun at its high peak. This app will show different photos which are funniest and exciting, and you can vote for each image. 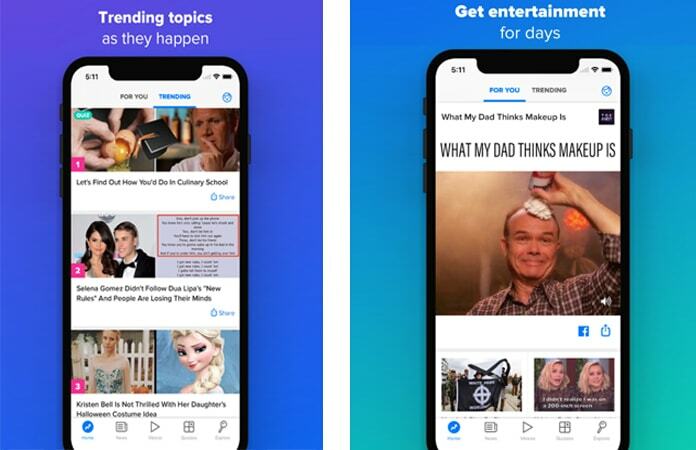 You need to connect to the internet and you are able to enjoy this app’s features. In addition, you can create your own pics and can send them to your familiars to get voting and share your interest with others. Therefore, it is a great app which will enable you to introduce new funny things in the market and you can spend your enough time using this app. 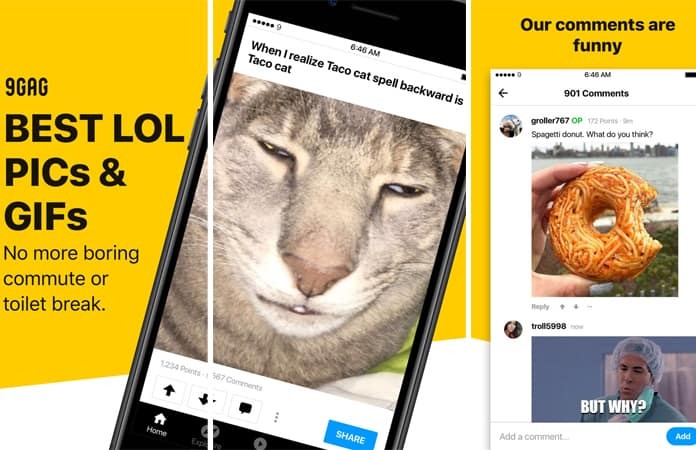 One of the funniest apps ever is 9GAG. If you want you to lol, make new friends and kill time then this app is the right for you. You can keep yourself happy by discovering funny posts on 9GAG and you can also make your friends laugh by sharing hilarious posts. With this app, you can have fun together with the funniest people all over the world. All you need to do is to download this app on your iOS or Android device. We hope that you liked our list of the best funny apps for iPhone, iPad and Android devices. Don’t forget to like, share and leave your comments in the section below.